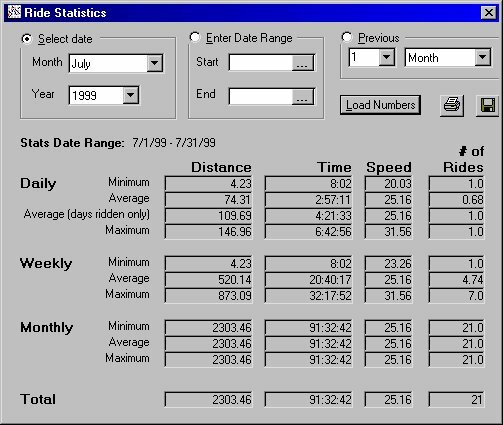 Welcome to the premier version of Bike Logit by Pegasus Software. 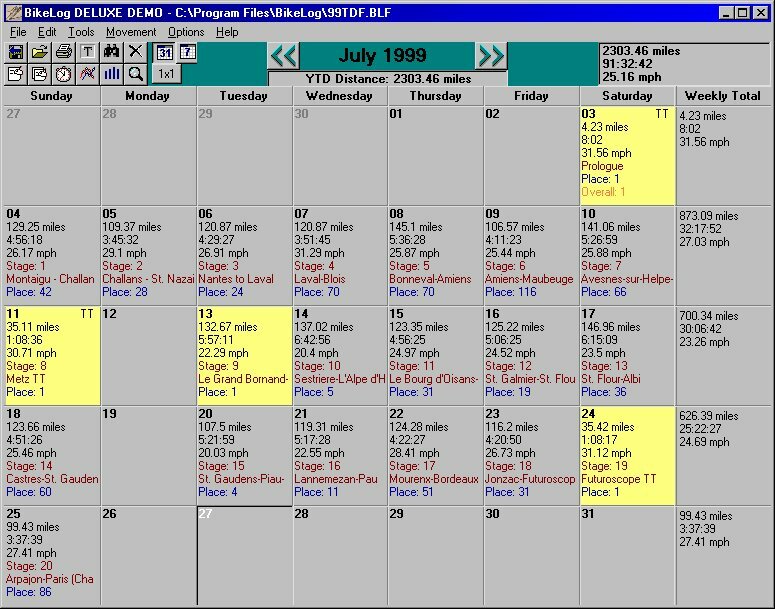 Bike Logit is the latest product by Pegasus Software, creators of the Award Winning RunLog. 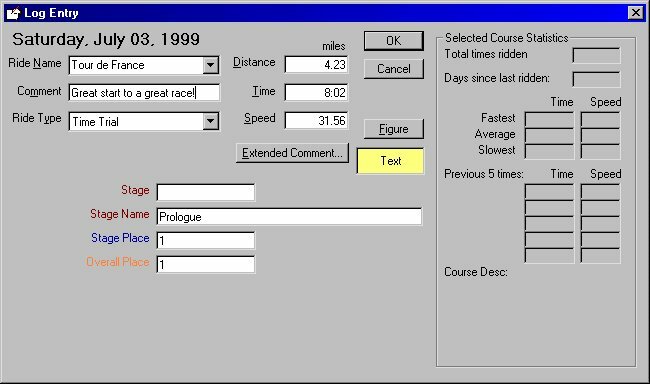 Bike Logit takes the incredible features of RunLog and turns it into a logging program with the serious cyclist in mind. 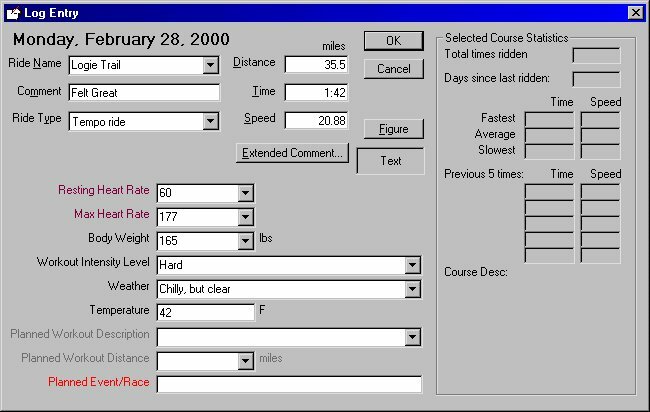 Download the Bike Logit demo. 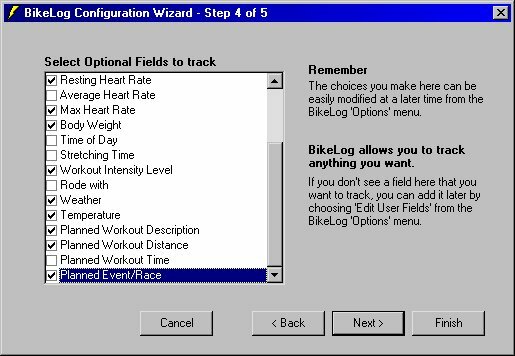 Here are some of Bike Logit's key features. Click here to see a comparison of Deluxe vs. Standard features. 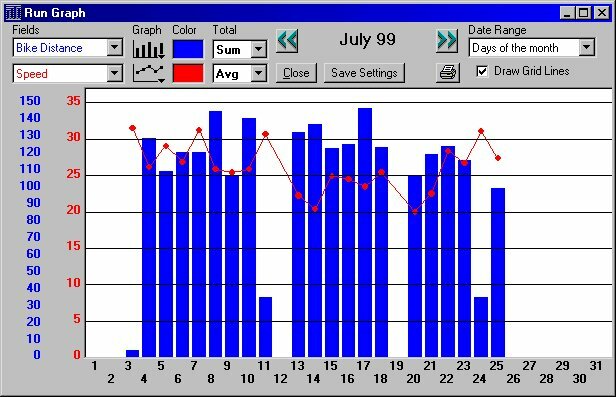 Powerful statistics that show weekly/monthly averages and more for any date range. 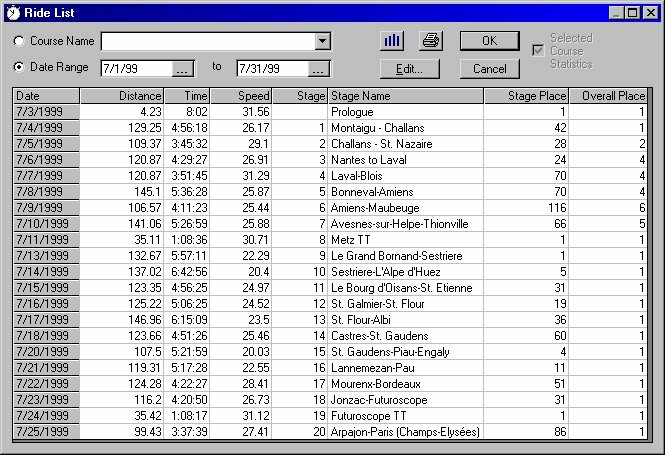 Here are some screen shots from Bike Logit that show stages from last year's Tour. 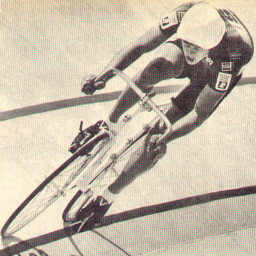 Click on any picture to view larger image. 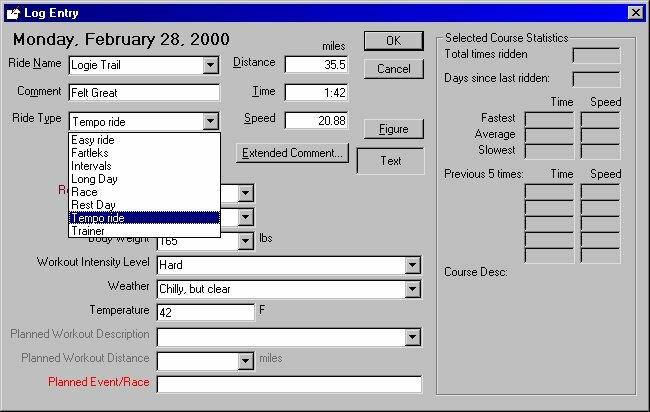 The Ride Entry window is where you enter your workout data. 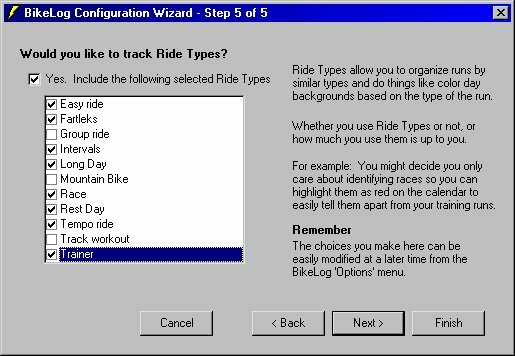 YOU decide which Ride Types you want to track.